Sing for joy - and it's good for you! Click HERE to read the review of our most recent concert. 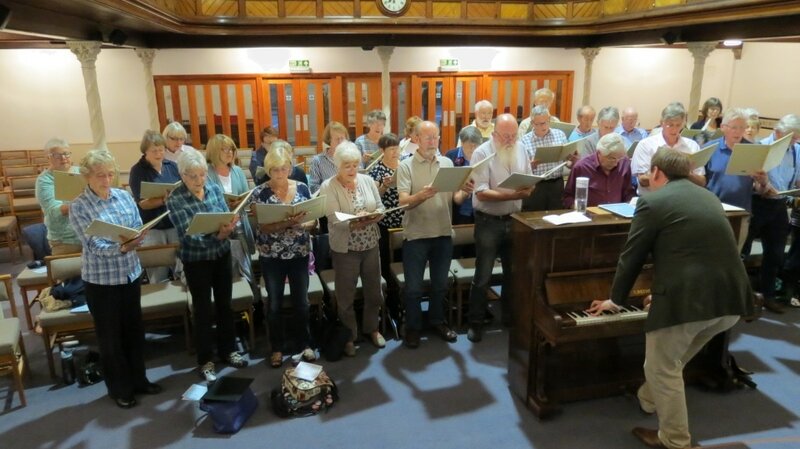 Kendal South Choir is a long-established choir based in the South Lakes area, about 55 strong, rehearsing and performing works from the standard classical repertoire of oratorio, masses, cantatas etc., although new and interesting works also form a part of the Choir's programmes. ​Recent highlights include the northern premiere of Oliver Tarney's Magnificat and the Cumbrian premiere of Howard Goodall's Eternal Light: A Requiem. We usually present two major concerts a year, generally accompanied by professional musicians and soloists, with additional concerts arranged when possible. A list of previous programmes appears on the Concerts page. The Choir is open to all singers without audition, but you do need to be able to read music, and previous experience of harmony singing is helpful. Our Director gives us excellent voice improvement exercises, so don't worry if you haven't sung since you were at school - just bring enthusiasm and a tuneful voice! We meet on Tuesday evenings in Kendal, and we especially welcome new tenors and basses. Our rehearsal venue is Stricklandgate Methodist Church - free parking is available at the nearby County Hall. Come along and join us for a trial period - use the form on the Contact Us page to find out the most suitable occasion to come. There's no requirement that you live in the Kendal area - we have members from Grasmere, Lancaster and Grange-over-Sands.